December 9, 2015 by Ken Ward Jr.
— An order denying a request from The Associated Press for a list of all of the jurors in the trial. — A ruling against Blankenship’s request for a judgment of acquittal on all counts. — Another decision that rejects defense efforts to have the case moved to another court jurisdiction. — A ruling against a defense request to order MSHA to turn over more records to the defense team. — An order that rules on several other pending motions in the case. — Another order that rules on a long list of matters still pending. December 4, 2015 by Ken Ward Jr. Longtime mine safety advocate Davitt McAteer pointed out to me that today is the Feast Day for Saint Barbara, the patron saint of miners. And Sunday is the 108th anniversary of the Monongah Mine Disaster. Of course, this time of year especially, it’s hard to find a day on the calendar that isn’t the anniversary of one terrible mine disaster or another. They kind of all run together sometimes, which I guess is part of the problem. The names of the mines and the towns — even the names of the miners — are often forgotten by all of us, except of course our neighbors who have lost fathers, sons, brothers and friends. For those families, the grief goes on and on. It’s tempting to dismiss the verdict yesterday from the eight women and four men who decided the Don Blankenship case. Only a year in jail? A misdemeanor? It’s equally tempting to make far too much of it. A sea change in how coal-mine safety is enforced in this country? It’s almost as tempting to politicize it. Is Booth Goodwin going to announce his run for governor now? Remember how all those Republicans tried to weaken our mine safety laws? 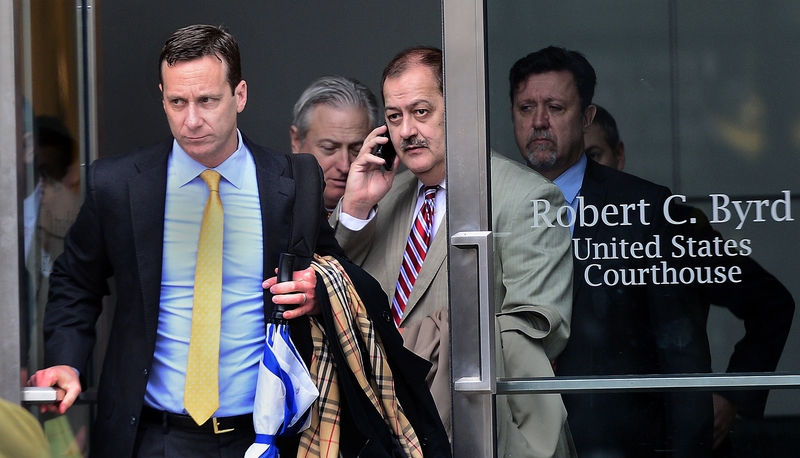 At the same time, if you look at Brian Ferguson’s photo on the front page of today’s Gazette-Mail, it’s difficult not to see more than a bit of smugness in Blankenship’s grin. After all, when jurors marked only the first of two “objects” of the conspiracy in Count One on their verdict form — and then checked “not guilty” for Counts Two and Three — they knocked the conviction down to a misdemeanor that, yes, carries a maximum prison sentence of only one year. It doesn’t seem like much when you look at the photos of those 29 men who died at Upper Big Branch. Now, I don’t know about you. But if I have my choice of no days in jail or a year — or even a day — in jail, I’ll take no days in jail, thank you very much. And remember that we don’t have much of any idea at this point how the potential fine — up to twice the financial gain or loss from Blankenship’s conspiracy — might shake out. December 2, 2015 by Ken Ward Jr.
Perhaps lost in the news about yesterday’s issuance of an “Allen charge” in the Don Blankenship case was that there were actually competing proposals that were being debated by lawyers in the case and U.S. District Judge Irene Berger. For those who are interested, those various proposals have now been made public, added to the court’s PACER computer document filing system by the court. First, here is the instruction that Judge Berger actually delivered to the jury. Second, here is the proposal submitted to Judge Berger by the government. Fourth, here is a proposed instruction from the defense regarding communications with the court. Fifth, here is a proposed instruction from the defense regarding jury deadlock. The jury in the Don Blankenship case has been sent home for the day because one of the jurors is sick. U.S. District Judge Irene Berger dismissed the jury at about 3:20 p.m. from their ninth day of deliberations. Jurors in the Don Blankenship case have just taken their daily lunch break, but the latest news just in is that prosecutors have filed this new motion asking U.S. District Judge Irene Berger to give jurors a second “Allen charge” before she considers declaring a mistrial. The United States moves that, in the event the jury again states it is deadlocked, the Court give a second Allen charge before considering a mistrial. At the moment, of course, the jury continues to deliberate, and it may well reach a verdict that renders this motion superfluous. The United States nonetheless submits the motion now to give the Court sufficient time to consider it should it ripen. First, the jury’s behavior these past two months shows coercion is unlikely. As the Court observed, the jury has demonstrated exemplary patience, attentiveness, and seriousness of mind. It is evident that the jury regards its duty soberly, and a properly balanced Allen charge would not sway it either way. Second, the jury has not yet said it cannot make further progress. There have been two notes about the jury’s lack of agreement thus far, and both have asked the Court for direction on how to go forward. Early on, the November 19 note asked, “How long do we deliberate?” The December 1 note sought further direction more expressly, asking, “Do you have any further instructions as to what we should do?” Even after several days of deliberation, the jury thus holds open the prospect of progress and invites the Court to assist it in reaching a verdict. A second Allen charge will not coerce a jury that has taken such a responsible and deliberate approach to its work. Third, the length of deliberations, even after a second Allen charge, will not be disproportionate to the amount of evidence the jury has seen and heard or the length of that evidence’s presentation. If the case had lasted only a day or two, a second Allen charge after more than seven days’ deliberations might be taken as an order to reach a verdict no matter what. The situation here differs greatly. Even if another deadlock note is received after further deliberation, directing the jury to continue deliberating would not be a disproportionate step in light of the evidence presented. This maintenance of proportionality further minimizes any possibility of coercion. A Wyoming County couple says the buildup of methane gas from an underground mining operation caused an explosion at their home Sunday — a week after the couple filed a lawsuit against the mining company. James and Rose Surratt, who own two properties on Woosley Road in Pineville, filed a motion Tuesday asking for emergency injunctive relief against Pinnacle Mining Co. James Surratt is an underground coal miner for Pinnacle. The company is in the beginning process of setting up an underground longwall mine that runs, in part, underneath Woosley Road. In addition to the lawsuit filed last week by the Surratts, other residents and a small-business owner on or near Woosley Road also filed a lawsuit Tuesday against Pinnacle Mining for damages that allegedly occurred after the company began operations in their area. Some of the out-of-town press seemed at least mildly interested. Watching the hearing was better than just sitting on the wooden benches in the courthouse lobby, though plenty of other media were content to read their novels, chat or speculate about what the jury was up to. A few folks were amazed by the case — I mean, come on, the house blew up, right? Of course, West Virginians and other coalfield residents know that suffering all manner of mishaps, inconveniences — and disasters — has long been part of living life with the mining industry. Anybody who was paying much attention yesterday when the residents’ expert witness, legendary mine engineer and inspector Jack Spadaro, was explaining his professional history — from his early days following the Farmington Mine Disaster, to his investigation of the Buffalo Creek Disaster, to his work on the Martin County Disaster — could not help but be reminded of that. And of course, as Spadaro rattled off those terrible parts of our history, eight women and four men in the next room were deliberating on the future of Don Blankenship, the former Massey Energy CEO whose indictment was spurred by a federal investigation of Upper Big Branch, the worst coal-mining disaster here in a generation. The seams of coal in some of Eddie Asbury’s mines in McDowell County are so thin that workers can barely squeeze down them. They enter on carts nearly flat on their backs, the roof of the mine coursing by just a few inches above their faces. They don’t stand up all day. “It’s how we survive,” said Asbury, 66, a miner since 1971. Today’s move by U.S. District Judge Irene Berger to deliver an “Allen charge” to jurors is a potentially significant development in the Don Blankenship trial. The case involved 14-year-old Alexander Allen who was tried and convicted twice of killing 18-year-old Phillip Henson. During a third trial in which Allen was eventually convicted again, jurors told the trial judge they were deadlocked. The Judge Isaac Parker instructed the jurors to re-examine their opinions, thus leading to what has come to be known as an Allen charge. Parker’s instruction was nearly verbatim from Commonwealth v Tuey, which was an 1851 Massachusetts state court decision that used similar instructions. The very object of the jury system is to secure unanimity by a comparison of views, and by arguments among the jurors themselves. It certainly cannot be the law that each juror should not listen to the arguments, and with a distrust of his own judgment, if he finds a large majority of the jury taking a different view of the case from what he does himself. It cannot be that each juror should got to the jury room with a blind determination that the verdict shall represent his opinion or the case at that moment, or that he should close his ears to the arguments of men who are equally honest and intelligent as himself. — It’s controversial: Especially when given in strong terms, Allen instructions are sometimes referred to as “dynamite” charges because of their ability to “blast” a verdict out of a deadlocked jury. On appeal, Allen charges can sometimes be overturned if they are determined to have had an “impermissibly coercive” effect on the jury. For example, judges are generally not supposed to tell juries that they “must” reach a verdict. Also, judges have been advised not to give an Allen charge after inquiring into the numerical division of the jury. In these cases, holdout jurors could interpret the charge as directed specifically at them. The 4th Circuit has said that one way for trial judges to avoid coercion when giving an Allen charge is to instruct both jurors in the minority and those in the majority to re-examine their positions, as Judge Berger did in the Blankenship case. — It’s legal in this jurisdiction: Although several courts have disallowed the use of an Allen charge – for fear of it being coercive and possibly singling out minority jurors – this past March, the 4th U.S. Circuit Court of Appeals — which includes West Virginia — upheld the use of an Allen charge. In fact, the 4th Circuit ruled in that case that a trial judge could deliver not just one — but two — Allen charges. The court declined to set a limit on the number of times judges can use the instruction to try to encourage continued deliberations. The 4th Circuit said it reviews appeals of Allen charges based on the “likelihood of coercion” of jurors. Some of the factors to be considered include the language of the instruction, its incorporation with other instructions, the timing of the instructions, and the length of the jury’s subsequent deliberations. The 4th Circuit said, for example, that three hours of deliberations after a second Allen charge provided “adequate assurance” that the jury was not “improperly coerced.” Also, “very tellingly,” the court said, the jury in the case came back with a split verdict — further suggesting they had not been coerced. At the government’s request, Judge Berger in the Blankenship case included in her Allen charge an instruction that jurors could return a verdict on some counts, but not on others. The 4th Circuit ruling this March also upheld an Allen charge that included language telling a deadlocked jury that a mistrial could result in lost “time, money and other resources” if the case had to be retried. Judge Berger declined to use such language in her Allen charge in the Blankenship case. — Judges have broad discretion in these circumstances: Appeals courts have ruled that trial-court judges like Judge Berger are often “in the best position to gauge whether a jury is deadlocked or able to proceed further with its deliberations. November 30, 2015 by Ken Ward Jr. 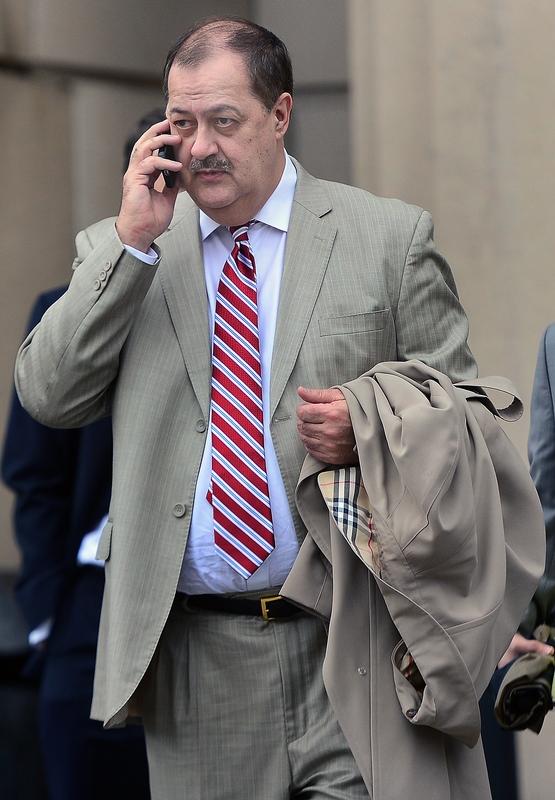 Jurors in the Don Blankenship criminal case put in another full day of deliberations today. The eight women and four men reported to the Robert C. Byrd United States Courthouse at 9 a.m. and left for the day at about 5 p.m.
No verdict was reached, and U.S. District Judge Irene Berger did not announce any notes received from the jury. Jurors are due back at the courthouse tomorrow at 9 a.m. to resume their work. U.S. District Judge Irene Berger this morning cautioned jurors in the Don Blankenship trial to “be vigilant” about discussing the case outside of the jury’s private deliberation room. Berger told jurors that they must “walk away” if necessary to avoid members of the public talking about the case in their presence. The judge also gave jurors an additional instruction about the way they deliberate. Berger’s instructions this morning came as jurors began their seventh day of deliberations following a five-day break for Thanksgiving. Instructions also came following a closed-door session last Tuesday between Berger, prosecutors and Blankenship’s defense team. The subject of that meeting has not been disclosed and Berger has not said why it needed to occur in private. This morning’s instructions to the jury came during a brief discussion between Berger and the attorneys that took place in open court but was held 15 minutes before the scheduled start of the day’s court session. Berger said that lead defense lawyer Bill Taylor’s flight to Charleston was delayed and that Taylor had asked her to hold off on any additional jury instructions until he could be present. Blair Brown, another of Blankenship’s attorneys, asked the judge to also instruct jurors that none of them should “come to a decision simply because other jurors think it is right.” Berger declined to give that instruction. Brown then asked to make several other requests, but that he be allowed to do so at the bench. Berger granted that request and held a private discussion with the lawyers before the jury came into the room. No details about Brown’s requests were disclosed. November 24, 2015 by Ken Ward Jr. The jury in the Don Blankenship case deliberated all day today before going home for a five-day Thanksgiving break. Jurors are scheduled to return to the courthouse at 9 a.m. Monday. 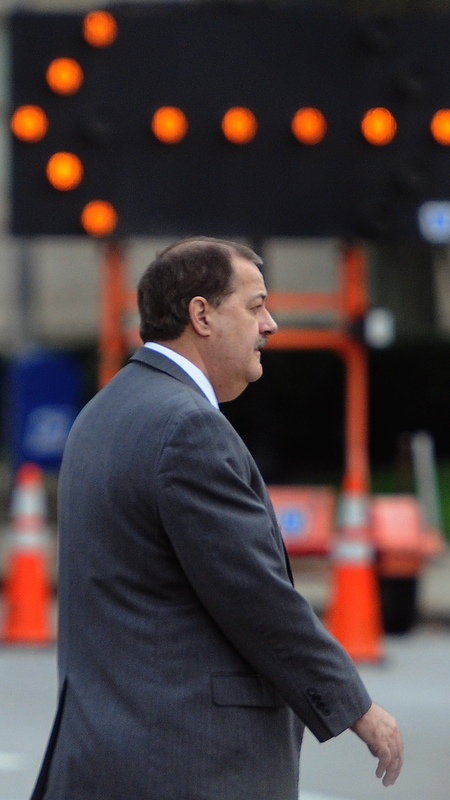 Jurors in the Don Blankenship criminal case begin their deliberations shortly before 4 p.m. on Tuesday, Nov. 17. They have deliberated all day each weekday since then. Here’s a list of the substantive notes that jurors have sent to U.S. District Judge Irene Berger and the judge’s response. — Wednesday, Nov. 18, at about 4:40 p.m.
— Thursday, Nov. 19, 2015, at about 11:45 a.m.
— Friday, Nov. 20, 2015, at about 2:40 p.m. UPDATED — Tuesday, Dec. 1, at about 11:50 a.m.
“Ladies and gentlemen, you have informed me of your inability to reach a verdict in this case. At the outset, the Court wishes you to know that although you have a duty to reach a verdict, if that is not possible, the Court has neither the power nor the desire to compel agreement upon a verdict. The purpose of these remarks is to point out to you the importance and the desirability of reaching a verdict in this case provided, however, that you as individual jurors can do so without surrendering or sacrificing your conscientious scruples or personal convictions. You will recall that upon assuming your duties in this case, each of you took an oath. The oath places upon each of you as individuals the responsibility of arriving at a true verdict upon the basis of your opinion and not merely upon acquiescence in the conclusion of your fellow jurors. “However, it by no means follows that opinions may not be changed by conference in the jury room. The very object of the jury system is to reach a verdict by a comparison of views and by consideration of the proofs with your fellow jurors. If, after conscientious deliberations, you are only able to reach a verdict concerning some of the counts, you may return a verdict concerning those counts. During your deliberations you should be open-minded and consider the issues with proper deference to and respect for the opinions of each other, and you should not hesitate to re-examine your own views in the light of such discussions. If at this point you find yourself in the minority, please listen and carefully consider the views of the majority. If you find yourself in the majority, please listen and carefully consider the views of the minority. You should consider also that this case must at some time be terminated; that you are selected in the same manner and from the same source from which any future jury must be selected; that there’s no reason to suppose that the case will ever be submitted to 12 persons more intelligent, more impartial, or more competent to decide it, or that more or clearer evidence will ever be produced on one side or the other. Members of the jury in the Don Blankenship case met for about three hours this morning, continuing their deliberations into a 6th day. The eight women and four men took a lunch break at about noon, after reporting for duty at 9 a.m. They are due back this afternoon to continue deliberating. No notes of any substance were announced by U.S. District Judge Irene Berger. November 23, 2015 by Ken Ward Jr. Jurors in the Don Blankenship case have gone home for the evening. U.S. District Judge Irene Berger released the 12-person jury to go home shortly before 5 p.m. 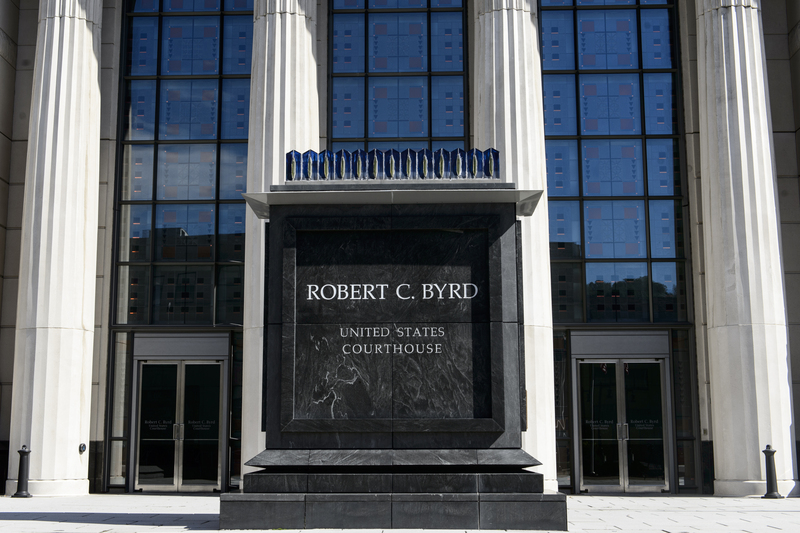 Jurors are due back at the Robert C. Byrd United States Courthouse at 9 a.m. tomorrow to resume their deliberations. They met for about 6 1/2 hours today. That makes more than 26 hours of deliberations over five days since Judge Berger gave them the case late last Tuesday afternoon. Jurors sent no substantive notes to the court today. They were heard from and seen only when about 7 of them took mid-morning and mid-afternoon breaks and when 10 of them left the building for lunch. On those occasions, the jurors were closely escorted by court security officers. 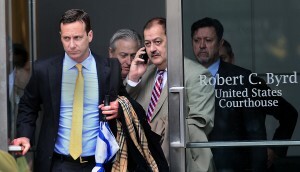 Jurors in the Don Blankenship case deliberated for about three hours this morning, returning to work after about spending about 20 hours over four days last week considering charges against the former Massey Energy CEO. 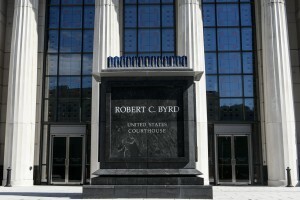 The eight women and four men reported to the Robert C. Byrd United States Courthouse at about 9 a.m. Seven of them were escorted from their jury room for a break at about 10:30 a.m., and then the jurors took a lunch recess at noon. No notes from the jury were announced by U.S. District Judge Irene Berger. Jurors are due back at 1:20 p.m. to resume deliberations. We’re back from the courthouse following U.S. District Judge Irene Berger dismissing jurors for the day. They have been directed to return at 9 a.m. on Monday. Prior to being dismissed, the jury found out court will not be held on Wednesday and Friday of next week to accommodate the Thanksgiving holiday. The words are contained in counts two and three of the superseding indictment. 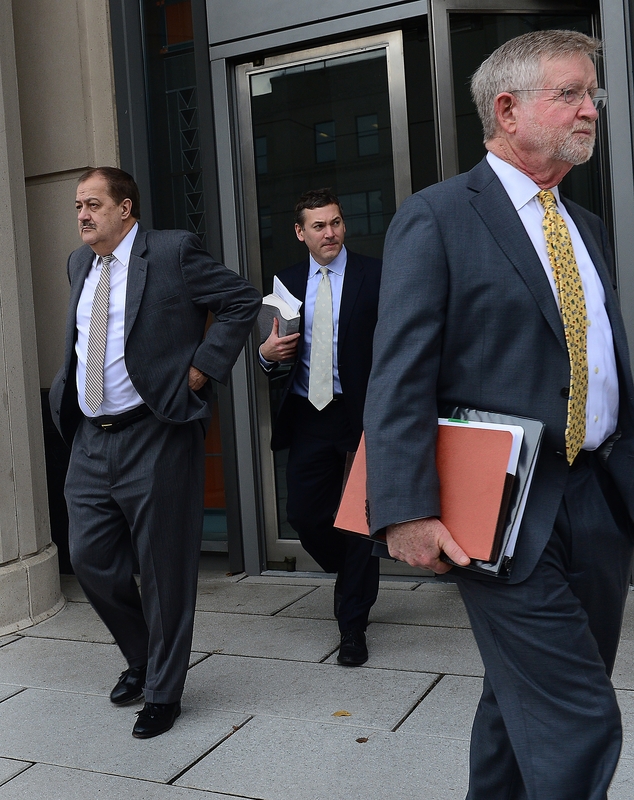 In those counts, the government alleges Blankenship made a false statement and committed securities fraud in connection with a statement issued by Massey Energy following the 2010 Upper Big Branch Mine disaster. Although juror seemed to be unclear about the words on Friday morning, they did hear lawyers from both the prosecution and defense discuss the words in their closing arguments. You may recall after many objections, Mr. Stewart was finally able to talk about the understanding that existed. He said that, “My experience there, the attitude was, the laws don’t apply to us. We don’t care. 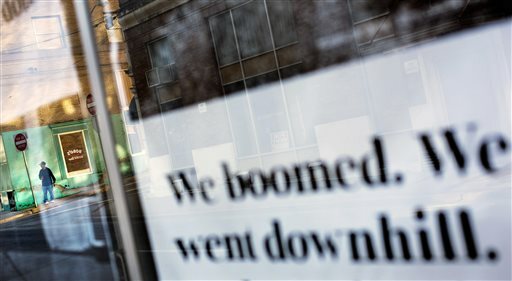 They not only condoned breaking them, they encouraged breaking them, and they demanded that they be broke. Again, we have proven beyond a reasonable doubt that the statement made by the defendant and his co-conspirators that, “We do not condone any violation of the mine safety laws and strive to be in compliance with all laws at all times,” was totally and completely false. And the defendant knew it. But even if you buy that, you have to admit that at the very least the statement that, “We do not condone any violation of mine safety laws and strive to be in compliance with all laws at all times,” is misleading without knowing all the facts that you now know; facts that the defendant knew at the time that he caused that statement to be made; facts that you now know through the Ross memo and all of the evidence that you’ve heard in this case are lies. Now when you ask yourselves whether Massey, the company, condoned MSHA violations, whether that’s a false statement, I want you to remember that Mr. Blankenship received this anonymous survey from 2,500 people. The survey Taylor mentioned is one that was provided to jurors as a defense exhibit. I respectfully submit, ladies and gentlemen, when you ask yourself, and when Mr. Blankenship is accused of making a false statement, as to whether Massey condones violations or is striving to avoid them, you’ll remember this. Did he (Blankenship) think it was a lie when he agreed to the statement that said Massey condones and strives to avoid. As Mr. Childress and everybody else said, the citations were public. And the shareholder statement acknowledges the violations and says, “We try to correct them as soon as possible. While we get violations, we don’t condone them. And when we get them, we strive or try not to get them. Mr. Poma acknowledges – he testified that the paragraph specifically acknowledged receiving the citations, and that even though we get them, we don’t condone them, and we try to prevent them. Understanding the reality that a coal mine received citations doesn’t mean that you condone them. And everything in this record that’s before you that you will deliberate about in the jury room demonstrates that Massey was trying to prevent them; that Don Blankenship was trying to prevent them and trying to reduce them. So the question before you is whether the Government has proved beyond a reasonable doubt that Mr. Blankenship is guilty of these two counts because of the statement. What a claim. This was a company that the defendant knew had more than 10,000 cited safety violations in 2008, more than 10,000 cited safety violations in 2009, far more than any other coal company in America. This was a mine, UBB, that had more unwarrantable failure orders than almost any other single mine in America, and hundreds of violations of the safety laws every year. The critical question, the thing people didn’t know, was whether the violations had been intentionally tolerated. And people at the upper levels of the company, people like the defendant, had known about those violations and allowed them to go on. That’s what condone means. It doesn’t mean that you want something or that you actively seek it out or promote it. The word means something different. It means you know about something and, even if you’d rather not have it happen, you allow it to continue anyway for some reason. For example, to make more money. In her charge to the jury, Judge Berger mentioned “condone” and “strive” several times but mostly to explain them as being a part of the statement at the center of counts two and three. No statements other than the two statements charged in Count Two can be the basis of a conviction to Count Two. The indictment charges that the term “we” in the statement refers to Massey Energy Company. Thus, in order for the statement to be false, fictitious, or fraudulent, it is not sufficient to find just that the defendant condoned violation of MSHA regulations and/or did not strive to be in compliance with all regulations at all times. To establish that the statements charged in Count Two are false when made, the Government must prove beyond a reasonable doubt that on or about April 8th, 2010, Massey Energy Company condoned violations of MSHA regulations and/or did not at all times strive to be in compliance with all regulations. In total, there were 23 uses of the word “condone” and 18 uses of “strive” in the closing arguments and judge’s charge to the jury. U.S. District Judge Irene Berger’s latest discussion with jurors in the Don Blankenship case didn’t last long — just a few minutes. Judge Berger told jurors “I instruct you that I have given to you all of the legal instructions that I can properly give to you.” The judge then sent jurors back to continue their deliberations, but before the jury had come back into the courtroom, lawyers in the case argued about what the judge should do. The two words “strive” and “condone” are at the heart of two of the three counts pending against Blankenship. Count one charges Blankenship with conspiracy to violate mine safety standards and thwart government inspections. Counts two and three charge him with making a false statement and securities fraud in connection with the statement made after the Upper Big Branch mine explosion that said Massey does not “condone” mine safety violations and Massey officials “strive” to be in compliance with all laws at all times. Prosecutors basically alleged that the statement was false because Blankenship and other Massey officials were conspiring to violate mine safety standards. Assistant U.S. Attorney Steve Ruby said it was up to jurors to decide what they think “condone” and “strive” mean. Defense lawyer Bill Taylor asked Berger to now consider giving the jury an additional instruction that the defense had proposed but that the judge did not include in her charge to the jury. The proposed instruction would have advised the jury “a statement of ‘fact’ is one that objectively can be demonstrated as being either true or false.” Berger said that instruction did not address the jury’s question, and rejected it. After the jury had come and gone, Taylor renewed his motion for a mistrial. He said the jury had already “announced definitely” that it can’t reach a verdict. Taylor pointed out that at least six jurors are making two-hour round trips to Charleston for court. Another is making a three-hour round trip, Taylor said. Taylor argued that such distances — along with the looming Thanksgiving holiday next week — wrongly served to “coerce” the jury toward making a verdict. Ruby disagrees. He reminded the court of the length of the trial testimony and said that jurors have really not deliberated that long by comparison. Ruby also argued that the jury’s question about “condone” and “strive” showed jurors are making progress. Berger denied a motion for a mistrial. Also, with the jury out of the room, Berger explained that this morning’s closed-door discussion between her, lawyers for both sides and several jurors was not “an effort to hide anything.” The judge said she needed to investigate a report from two jurors that they had been approached by “a member of the press.” The judge did not identify the member of the press but said he approached the jurors this morning in the courthouse lobby and asked “whether it was over” and could they talk. Berger said that the contact did not taint the jurors — who did not talk to the press member and recounted the incident to the court — but the judge again urged the media to stay away from jurors until their deliberations are over. Berger did not explain how the closed-door session qualified for the very limited instances when criminal proceedings may be closed to the public. Several new court filings in the Blankenship trial today. The first is a response from U.S. District Judge Irene Berger denying Blankenship’s defense attorneys’ emergency motion regarding jury instructions. After careful consideration, finding that the jury has deliberated only for a period of hours after hearing approximately five (5) weeks of testimony, and finding that the Court has previously instructed the jury in accordance with the proposed emergency instruction, the Court does hereby ORDER that the motion be DENIED. The second filing comes from the government. This one is essentially transcripts from the audio recordings, some of which the government used during the trial, as well as other documents, including news articles and citations the government used during the trial. As of right now, all of the documents attached to the filing are not publicly available via PACER. The third filing from today is a motion by the Associated Press asking Judge Berger to release information about the jurors. Juror information is one of the issues that we have been fighting to gain access to for a while. The right of public access as held in Baltimore Sun, supra, clearly applies here, as the jury was chosen over a month ago, and there is no constitutionally valid to withhold the names and addresses of the trial jurors. The Associated Press therefore requests and moves the Court to direct the Clerk to release the names and addresses of the trial jurors immediately. Check out the entire filing here. As of this afternoon, Judge Berger has not responded to the request. Members of the jury in the Don Blankenship case have taken a break for lunch. They started the break at about 12:30 and are due back at the Robert C. Byrd United States Courthouse at 1:50 p.m.
Today, when jurors left the building, they were escorted out of the door by court security officers, who walked around the corner as they made their way to the Town Center Mall. Jurors deliberated for about 3 1/2 hours before taking their break.